Even though smartphone audio quality has improved in recent years, the tiny built-in speakers aren't always loud enough. But if you want to turn the volume up to 11, all you need is a few household items to make a rig that will amplify your phone's speakers throughout the whole house. 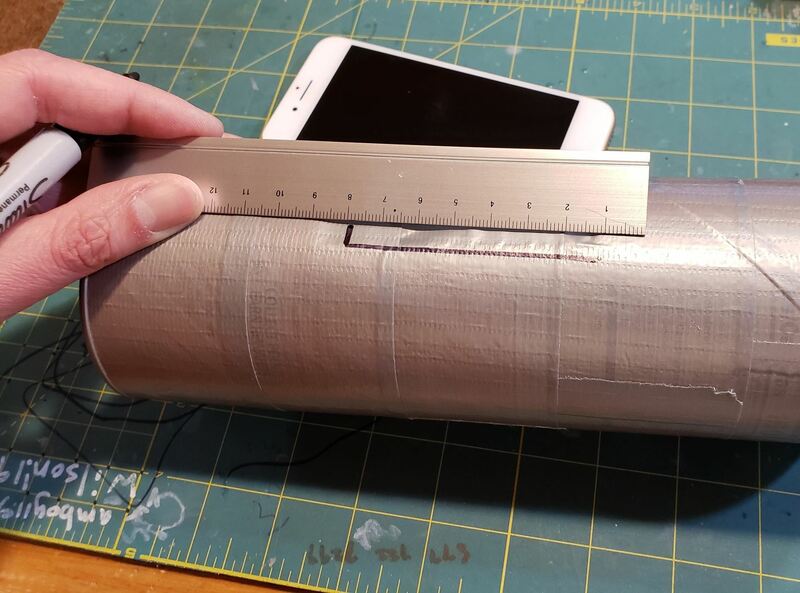 You can make this speaker amplifier out of just about anything cylindrical — Pringles cans, takeout soup containers, soda bottles, and so much more. This little DIY project is extremely easy and won't take up a lot of your time, and it's a great way to boost your phone's volume not only at home, but while you're on the go, like camping trips, picnics, and tailgate parties. 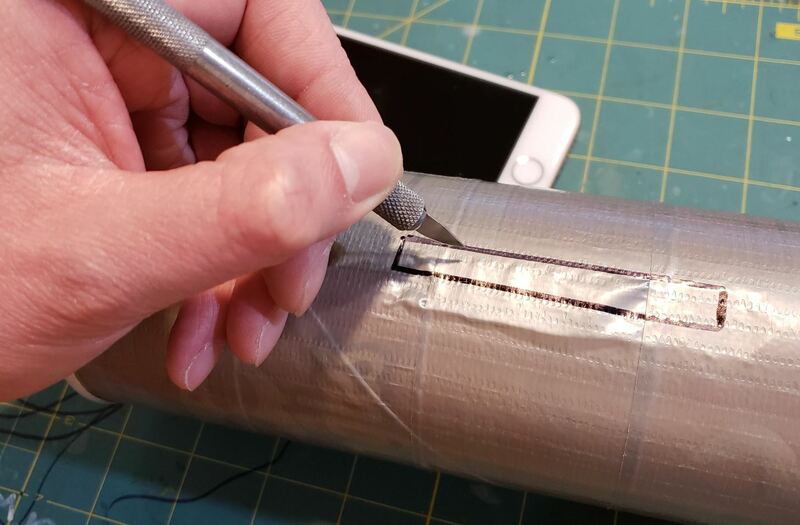 Before hacking away at the container with your knife, you'll first want to measure the bottom your phone to make the fit as exact as possible. So grab your ruler and record your device's width and thickness by marking it on your ruler with a pencil or marker. Proceed to the next step once you have the measurements handy. 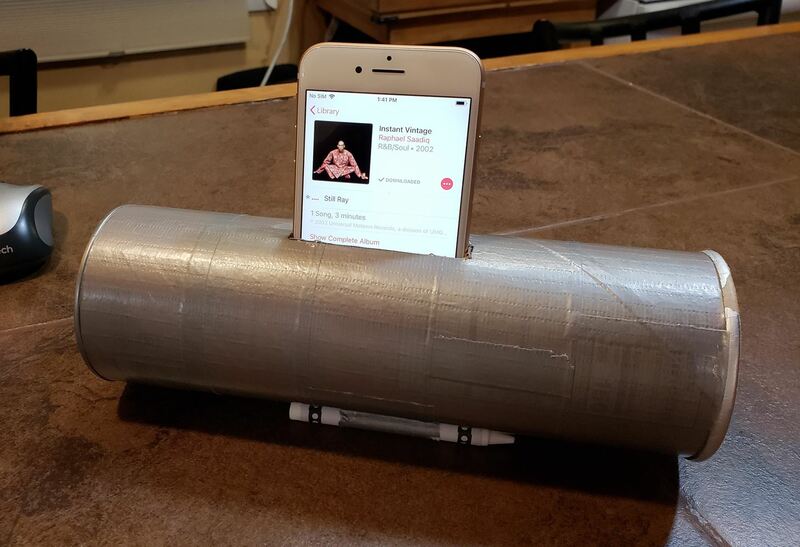 Having a stand for your homemade speaker not only prevents it from rolling over due to the weight of your phone, but also gives you a stable platform to work with. Cutting into a cylinder with a sharp knife increases the chances of slipping and accidentally cutting yourself, so having a stand to keep it from rolling is a good idea. 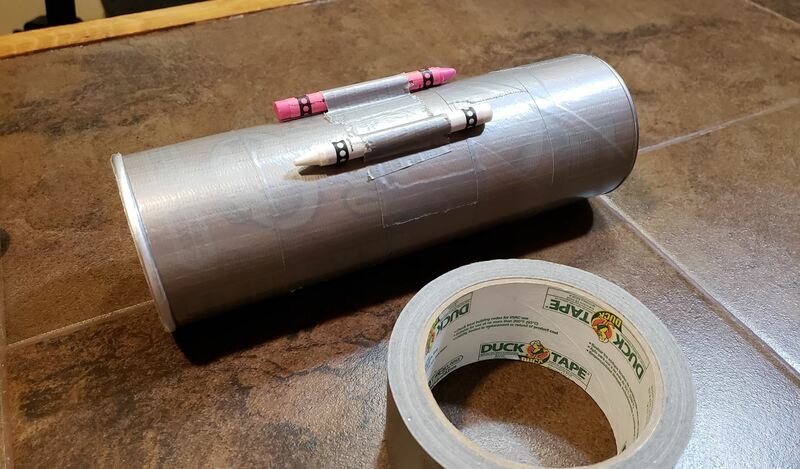 That said, making a stand is extremely simple — just grab a pair of sticks, disposable pens, or even crayons, and tape them to the bottom of the can parallel to each other. Once you're done, just turn the can over and your speaker will no longer roll over on its own. After completing the stand, you'll now want to mark the spot that you'll eventually plug your phone into. So grab your ruler and trace a rectangle that matches up with your phone's measurements using a pen or a marker. 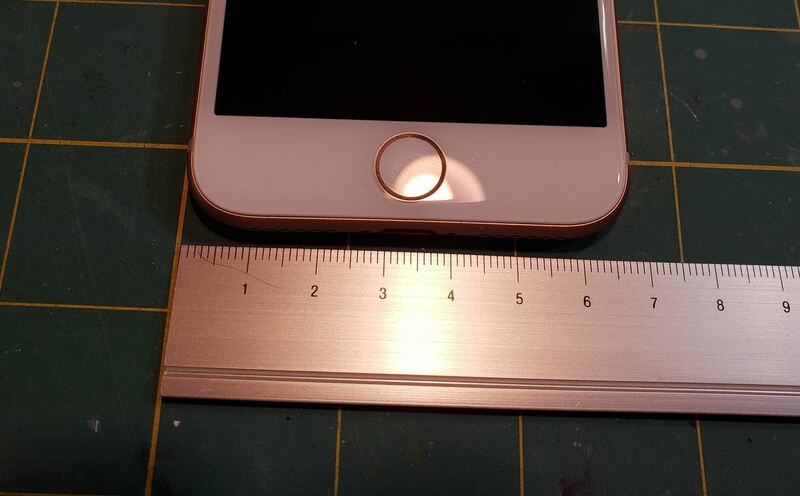 Feel free to line up the bottom of your phone against the template to make sure they match up. Once you're satisfied with the template you've made on the can, grab your knife and carefully cut along the lines. This step is crucial, as you want the device to fit snugly — but not too tightly — into the can to help ensure maximum audio output. If you have unsteady hands, use your ruler as a guide to help achieve straight, clean cuts. Once you've finished cutting the initial hole, be sure to slice off any remaining material and clean off the inside of the can. 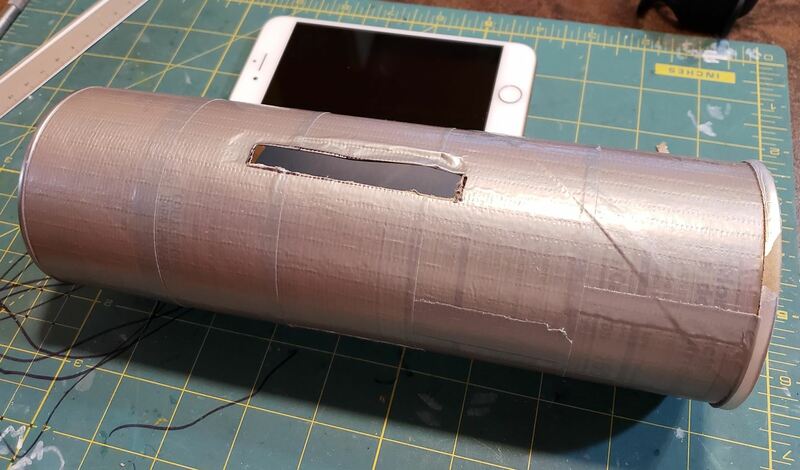 Your homemade speaker is now ready for testing, so insert your phone into it and play your favorite song to see if it functions to your liking. The audio output will be louder on the open end of your cylindrical container, so direct it as needed. Of course, this setup has the added benefit of keeping your device on a stable base, protecting it from potential scratches and drops that could occur when left unattended.